We offer a wide variety of coated or uncoated stock. Ink options range from black ink to full color and metallic. Your card can be printed on one or two sides. 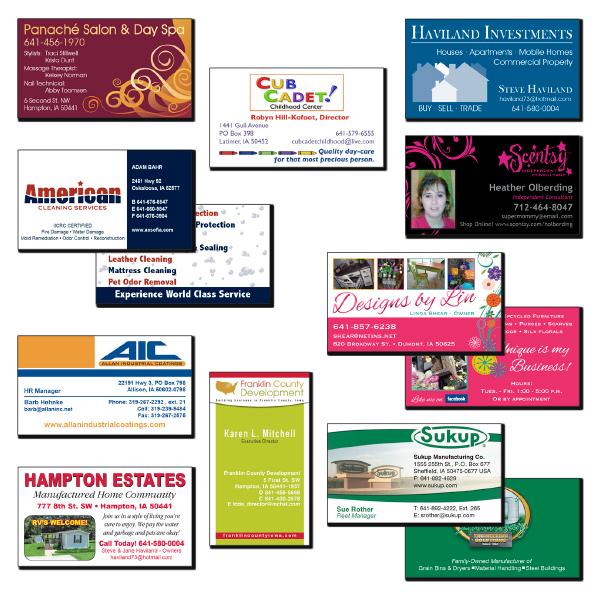 Let us create the perfect business card for you. Call today for your free quote!